On the Windows 10 October 2018 update, the below warning now appears when you open the installers for Chrome or Firefox. 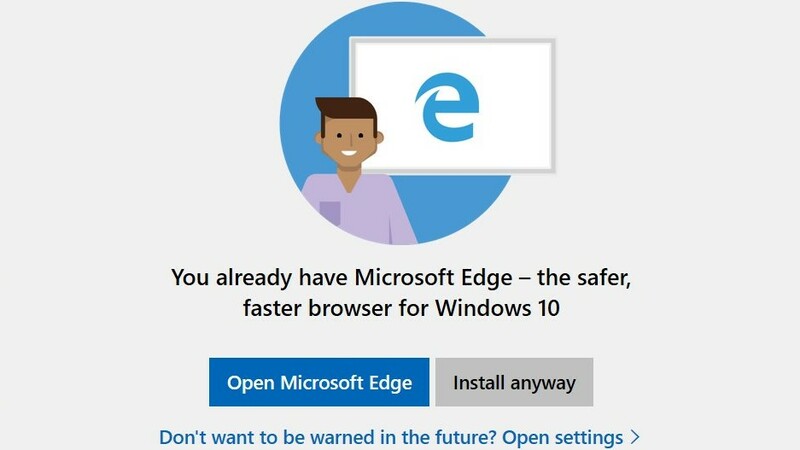 It reads, "You already have Microsoft Edge - the safer, faster browser for Windows 10." I can't imagine the popup will convert many people; if anything, the nagware will make Windows users avoid Edge even more. Nice going, Microsoft. Sources familiar with Microsoft's plans told The Verge that the warning won't appear in the final October update. So either this was a limited test to begin with, or Microsoft decided against implementing it after the public outcry.